Home » comic news » Dark Horse at ECCC – Moebius, Conan and more! Dark Horse at ECCC – Moebius, Conan and more! Emerald City Comicon has barely started, and already Dark Horse Comics are firing out the quality announcements at a rapid-fire pace. 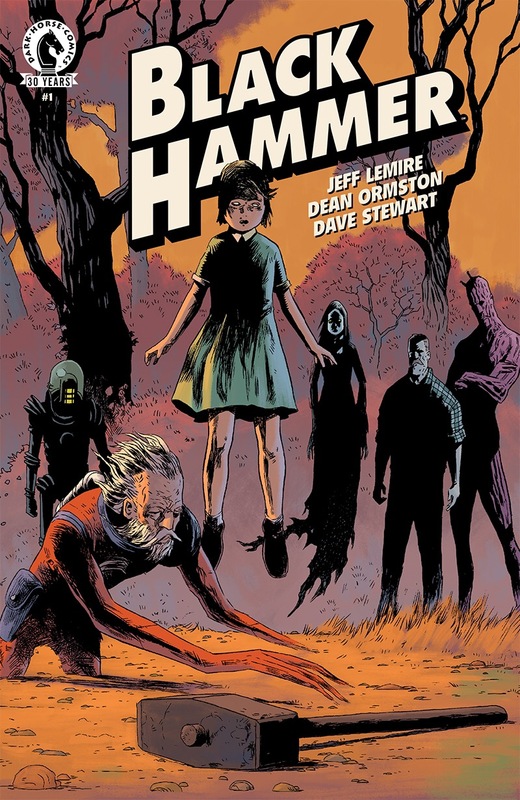 Firstly, they announced that – following a series of delays – Jeff Lemire and Dean Ormston’s much-anticipated original ongoing series BLACK HAMMER is finally set to return this July! BLACK HAMMER #1 hits stores everywhere on July 20th, priced just $2.99. Up next, they revealed the first volume of their eagerly-anticipated MOEBIUS LIBRARY with THE WORLD OF EDENA. 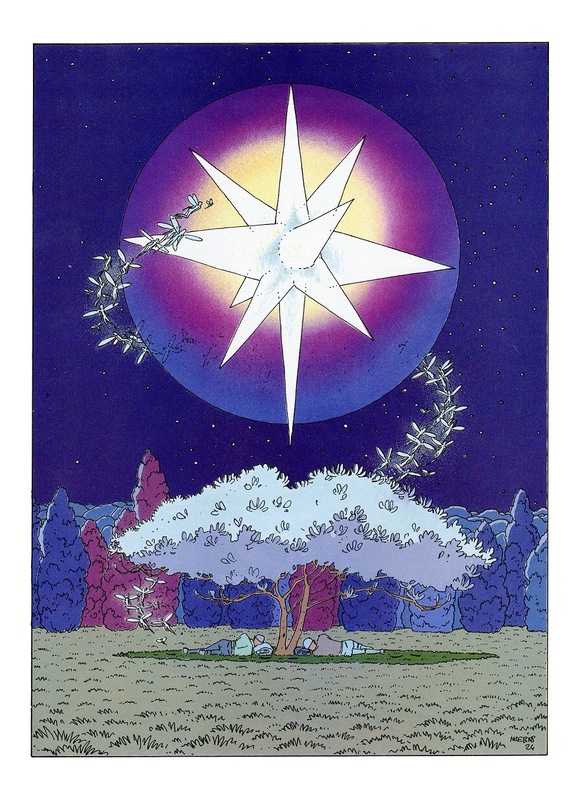 Collecting all the Edena short stories in a deluxe, hardcover edition, The World of Edena includes “Upon a Star,” “Gardens of Edena,” “The Goddess,” “Stel,” and “Sra.” Although several had been translated into English in the 1980s, this will be the first time “Sra” has been available to English-language audiences. Following the debut of The World of Edena this fall, Dark Horse and Moebius Production also confirmed details of the upcoming installments in the Moebius Library over the next few years, including The Art of Edena, Inside Moebius Part 1, Inside Moebius Part 2, Inside Moebius Part 3, and The Art of Moebius. Both The Art of Edena and Art of Moebius will include never-before-seen pieces from the artist’s private collection, most of which have not appeared in English-language publications. Additionally, these will be the first English-language editions of Moebius’s renowned, six-chapter autobiographical series Inside Moebius. The World of Edena, a deluxe, 344 page hardcover premiers on October 26 and retails for $49.99. Finally… so far, at least… Dark Horse have confirmed that Eisner-nominated writer Cullen Bunn is set to team up with artist Sergio Dávila (Red Sonja, Swords of Sorrow) on CONAN THE SLAYER. Alone, battle weary, and with nothing but his sword, Conan of Cimmeria faces his inevitable death in the arid wastes . . . but instead stumbles into a camp of Kozaki raiders. With a knife at his throat and a band of Turanian hunters at his back, will the half-dead barbarian find a new ally in the Kozaki chief? 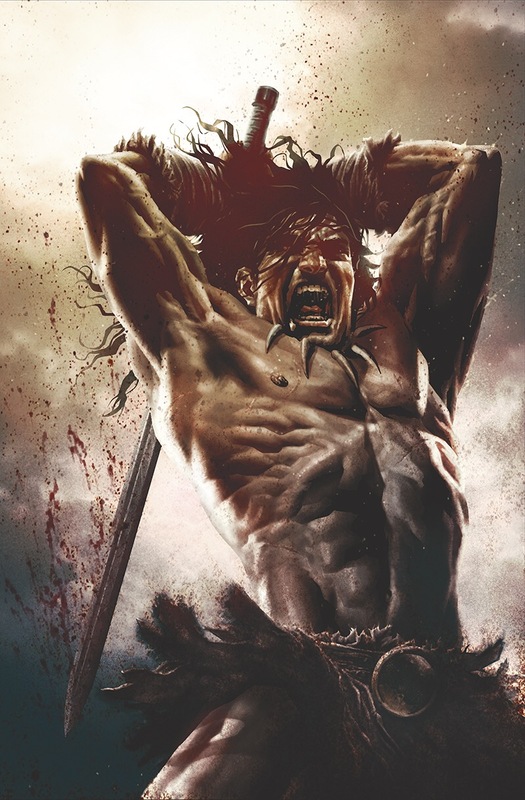 Serving as a perfect jumping-on point for new readers, and featuring a variant cover by comic superstars Lee Bermejo and Mark Schultz, CONAN THE SLAYER goes on sale July 13.